India has long been known has the spice capital of the world, but it's origins to present day on how it became that way is interesting to say the least. Check out 7 cool facts about Indian Spices! 1. India is responsible for 70% of the global spice production. The majority of people in the world have some sort of spice in their home from India! 2. 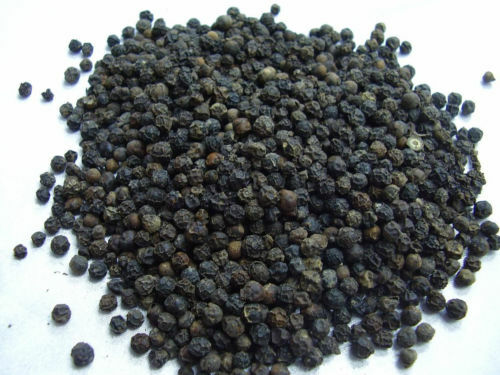 In the 4th century bc, black pepper had immense value. The Greeks referred to it has “black gold”. At this time about 120 ships a year full of spices were consumed by Romans. 3. Most historians and scholars agree that Portugal was the first country to discover India. It is said that Vasco de Gama reached India in 1492. He started importing spices from India and would encounter Pirates when going back to Portugal. There was a time when spices were more valuable than gold. 4. Salt has been produced in India for over 5000 years. During the time of the Spice Route many Roman soldiers were paid their salaries in Salt! This gave birth to the term ‘salary’. The phrase ‘worth his salt’ was also derived from the same context. 5. During the 18 Century and after America had established itself as a strong independent country it’s citizens started dealing directly with Indian farmers in order to bring spices to the west. 6. Malaysian and Indonesian food have deep roots in Indian cooking. During the spice route, Indian merchants traveled traveled to these countries and introduced these spices. This accounts for the similarities in many South East Asian dishes. 7. When the Arabs took control over Kerala, India during the 6th century BC, they took over the major channel of the spice route. Arab traders kept the profit margin high when selling to their own people and would make up stories about how they got them to deter others from going to India. Legend as it that some Arab merchants told their own citizens that they traveled through jungles and encountered winged creatures and poisonous snakes that they had to fight off in order to get spices. Speaking of spices, check out our past recipes! If you haven't already, subscribe to our newsletter so you never miss a post as we celebrate Indian culture and food! Unboxing and Demo of the Dosa Maker! Check out our most recent post! Check out our latest post here! Check out our newest blog on Diwali! 7 Reasons to go to an Indian Wedding! Deepak Chopra - 5 Great Reasons to Live Life! Click here to read more about the significance of the bindi!